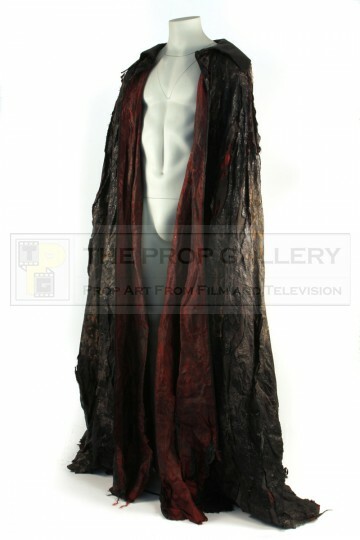 An original costume used in the production of Sleepy Hollow, the 1999 horror picture starring Johnny Depp under the direction of Tim Burton. 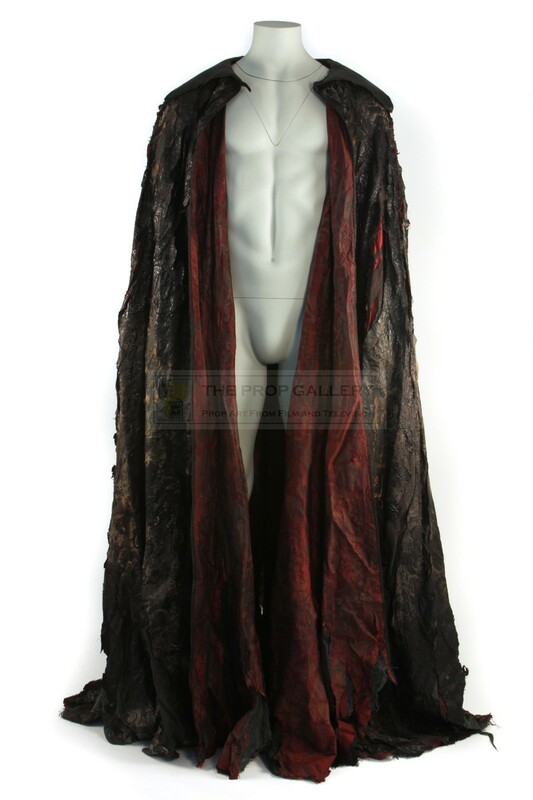 This cape was designed by Colleen Atwood and formed part of the costume worn by both Christopher Walken and Ray Park as The Headless Horseman. 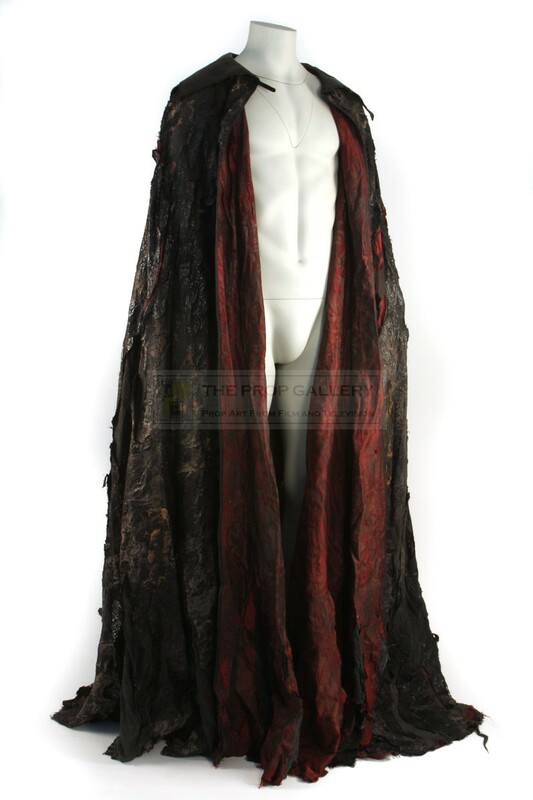 The large floor length cape is constructed from black material with silver highlights and features an interior lining of patterned red material which shows through the intentionally distressed costume with a large collar of PVC to the top. 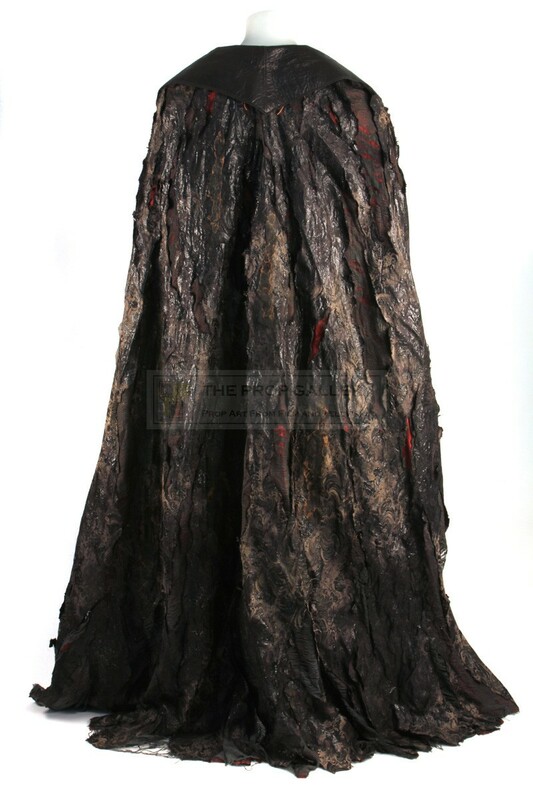 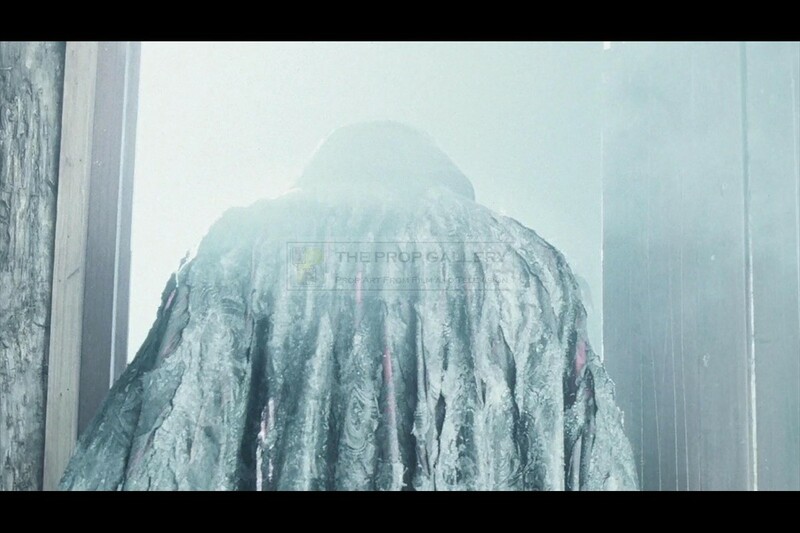 The costume remains in good intentionally distressed and production used condition with some minor soiling. A fine example of principal character wardrobe from this well received picture which saw Colleen Atwood nominated for the Academy Award for Best Costume Design.